This fall wedding was one for the books! There was so much pretty - from the greenery, to the mismatched table settings, to the Gaviota Coast views. Sarah and Darren approached us with a clear vision: to have a delicious farm-to-table family- style dinner. From the January tasting to the September execution, it was a pleasure to work with this couple. They both were passionate about using local, organic, and seasonal Santa Barbara ingredients, which is what Savoir Faire Catering is all about. Dos Pueblos Orchid Farm made for a stunning setting for the romantic day. After a cliff side cereomony overlooking the Pacific ocean, guests enjoyed a cocktail hour followed by a reception held in the greenhouse. The family-style dinner perfectly reflected the relaxed elegance of the entire day. Scroll through the photos from Jodee Debes Photography to see more from the beautiful day. 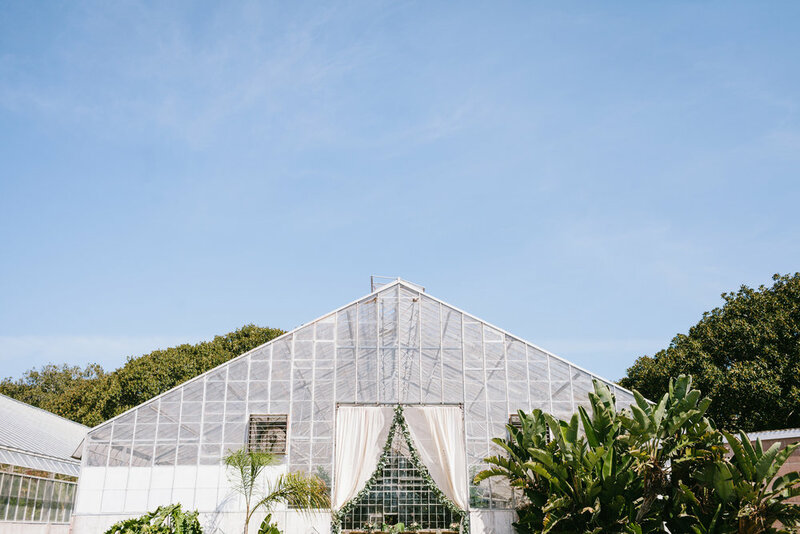 What's not to love about a greenhouse reception? See more photos on Style Me Pretty.